Then I was discussing about it with my hindi speaking friends, they also said that Sheera is famous at their places. Well we had some open discussion that got them understand that it’s exactly if not very much the same old kesari bath. This recipe that I made finally had some inclusion which isn’t very much, except it tasted different because of the spice that you add. Let’s see how the Saffron strands are used in this Sheera. I normally don’t add saffron to my kesari bath. Will add saffron next time while making halwa,yummy. I'm sure the cloves must be giving out its aroma and taste in this dish which might separate it out from our kesari bath. Lovely use of saffron, didn't it change color? Interesting, I never considered adding cloves to sooji halwa. This version might be sweet & a little spicy then. Will try next time. Sheera and Kesari bhaath sound same..but let me tell u there are lots and lots of different ways to do sheera too..adding cloves will definitely change the flavor..n agree with u ..sometimes saffron just doesnt give that color. this is my husband's fav halwa.. lovely recipe. 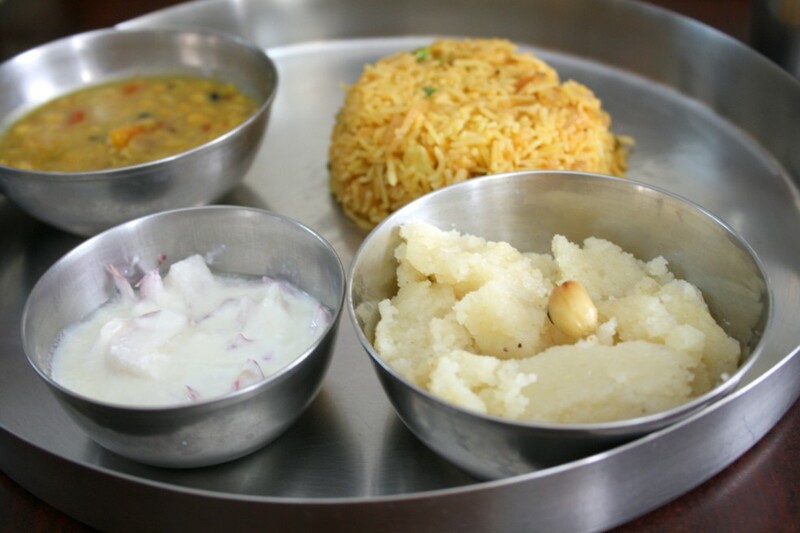 Sheera with wheat rava is a nice variation. Will try it with wheat rava next time. I found a finer version in the organic food section and therefore an added motivation. And also, ask your bengali friend to get you the date palm jaggery that they make in the winter. And make suji halwa or even kesari with it – replace the sugar. It is absolutely delicious. I am trying to guess the taste of cloves in the sheera.Yes,sometimes saffron does not impart it color to the dish but it still has the flavor in it..
That s a alltime favorite and that plater looks a complete meal yummy. 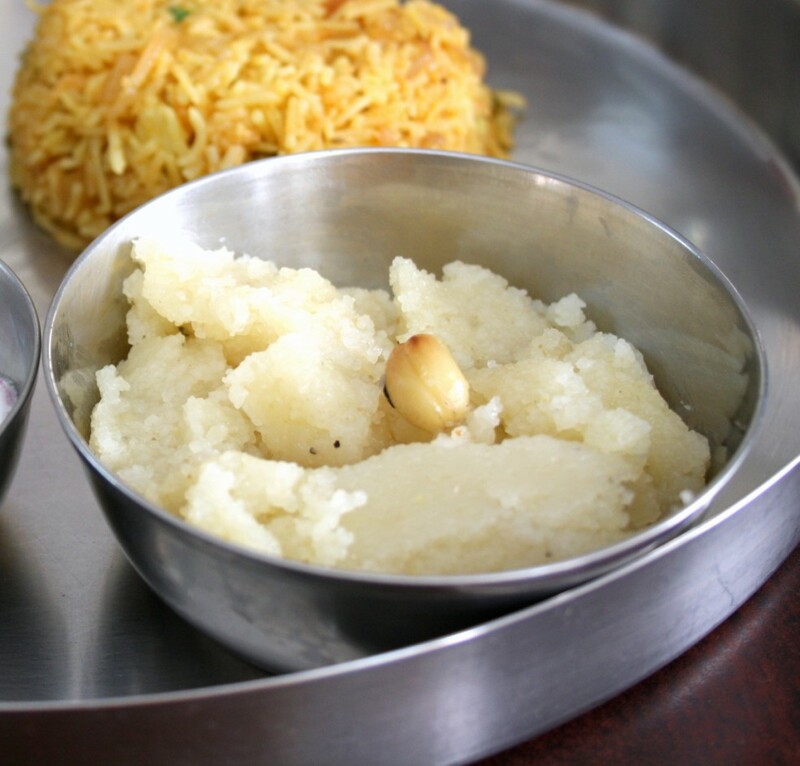 adding cloves to kesari is new to me…sounds very flavorful n love this classic sheera any time! I almost always add saffron but never tried adding cloves. should try it out sometime.